Heather Staff wrote recently for Fabiana, a British magazine that advocates “Women as agents of Change”. 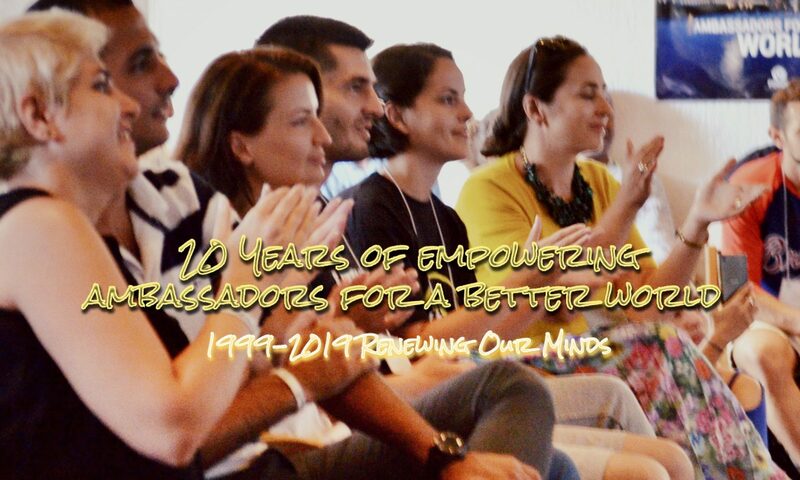 She wrote about how inspired she was by meeting through ROM (Renewing Our Minds) and EDI (Economic Diplomacy and Integrity) initiatives a number of brave Balkan women who make profound difference in their communities and countries. Heather Staff is Policy Adviser on Resettlement, Asylum and Migration to Kate Green MP, as well as the member of the ROM Core Leadership Team. This Balkan phrase is a mindset that has seen local communities transform and, in some parts, start to reconcile over the last years. Of course, there are times when a loud shout, the cry of protest has created a sharp shock to Governments at local, national and international levels, but the real change – the change found in homes, schools, at the poll booth – well that is the quiet river of women’s voices seeking to be heard. to make sure young people from the Balkan region were taught reconciliation, and had excellent role models showing them they could be agents of positive change. Many of the people I meet are outstanding young women seeking to rebuild their communities. You may think that the Balkan region is an unusual place for a working holiday, but speaking to these passionate women tells stories not just of success in business, of breakthrough in community work, but also of trials: the lack of role models in politics, the abuse still found in homes, inequality both gendered or ethnic, missing families from the conflict, hidden or open poverty, and the quest to tackle corruption. If you could store up all the hurt many of these women have been through then it’s true the ‘world would not be enough’, yet these women have not given up. They are the deputy justice ministers in Albania changing a political party, the church youth workers in Montenegro giving hope and dignity to young women, forensic scientists in Bosnia seeking the missing family members many have given up on. ey are the refugees from Iran living in Zagreb challenging the Croatian government over attitudes regarding who a refugee actually is. ey are the Serbian women providing crisis counseling and starting their own NGO’s. I could go on and on, and I burst with pride as I picture all these sisters breaking whatever mountain they are faced with. The women I have met have something in common, that of determination and resolve, yet also they carry love and compassion. Many have lived through brutal regimes and suffered hatred and prejudice. One such woman whom I admire greatly has a Roma background. She lives in Romania and has worked on project after project to help Governments and communities understand the need for empathy and care. e playgrounds she has helped build for children and the clean water projects to areas are vital, but perhaps more vital has been the persistence to show communities that rebuilding of hope can happen, and that practical change often occurs when dignity is given and systems are challenged. She works with communities of men and women to understand identity, cut through pride, and in doing so has never given up teaching people to not be ashamed of who they are or where they are from. Her friends are two women from different ethnic backgrounds who equally are rebuilding the lives of those around them. One, a Romanian woman of the year in 2015, has been less of a quiet river and more powerful torrent of gender equally, and a voice crying out against sexual abuse. e other, a powerful persistent journalist, helped start the ‘Resist’ movement in Romania, seeking to root out corruption and in so doing rebuild communities torn apart by a loss of integrity both local and national. The Balkans are in parts fragile and to keep lasting stability it needs women’s voices to be heard that are respected and listened to, not just used as a point scoring exercise for rights commissions and funding bodies. To break whatever mountains lie ahead, the future must keep being a place where women are playing an active part at local and national level. If Agents are traditionally lone wolves then these women certainly are not, they know that communities only rebuild and change through collaboration. If a mountain is broken by one quiet river how much more can be done when rivers are owing together? For we know that community needs to be healed and rebuilt by everyone involved. Heather Staff is Policy Adviser on Resettlement, Asylum and Migration to Kate Green MP.